Home Food Some Zucchini Noodles Anyone? Yes you can now make your own healthy veggie noodles! Vegan, keto, vegetarian, zone, etc are the types of diets people are adopting for weight loss and a healthy body. Health consciousness has gained momentum among general public. As a result, there is a dearth of healthy dishes coming up. Most of the world’s most common dishes, like burgers, pizzas, pasta, coffee, tea and even ice cream are being altered to suit the palate of the health conscious population. So why should noodles be spared? Noodles are something everyone loves. Either rice noodles or maida noodles with some soy sauce, vinegar, chilli sauce, schezuan chutney and maybe some ketchup, and vegetables and sometimes meat are loved by all. But in this health conscious era, will they stay? What if I was to tell you that noodles have been replaced by zoodles? 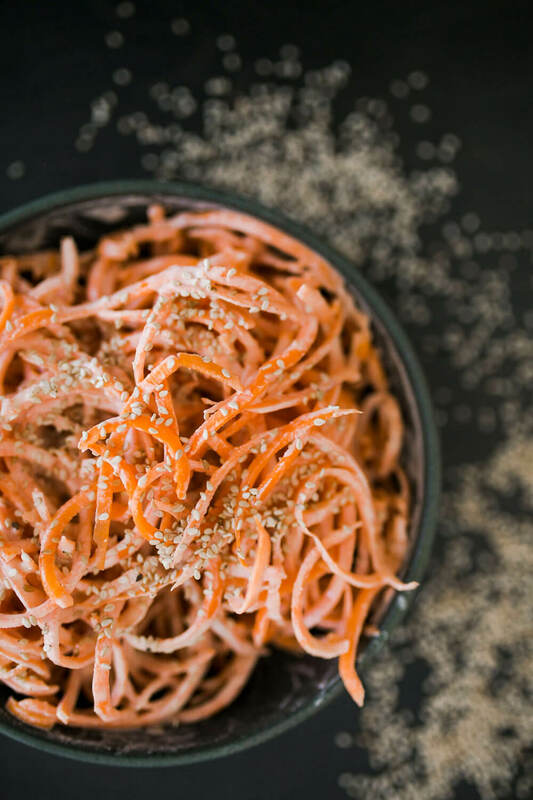 All you need is a spiralizer! Yes, you heard it right! 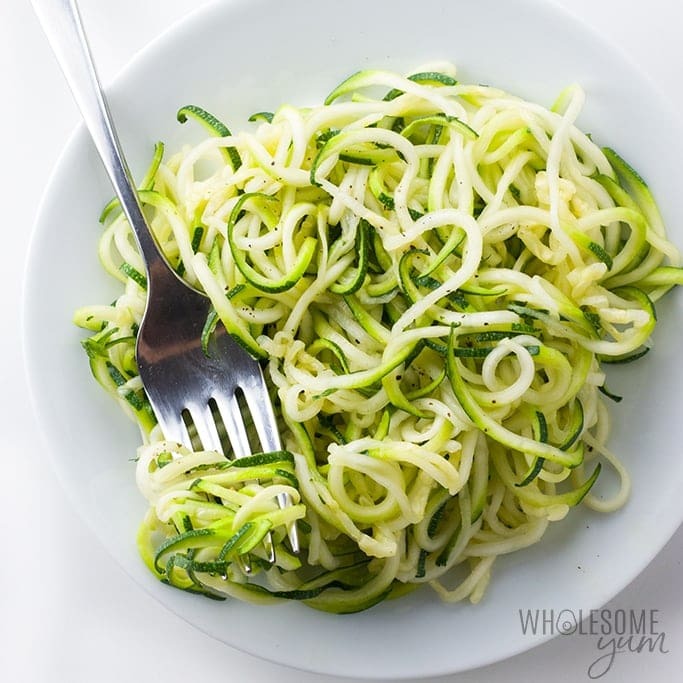 Zoodles or zucchini noodles are slowly been preferred over the usual noodles as they are incredibly healthy and are not processed foods. They are put in a spiral slicer to obtain noodles from the zucchini ribbons. Say bye bye to fat! If you have eaten zucchini, you would know that it doesn’t really have a very distinct flavor on its own. It is pretty bland as it is, with a crunchy peel and a mushy inside, which is almost watery. It is somewhat like a cucumber in taste. So this makes it a suitable vegetable to use in noodles. The zoodles are used not only in the typical noodles dishes, but also in salads, burgers, pastas. So, are zoodles cooked? Well, not very often. They are usually just tossed in some sauce, pesto or salad dressing and served raw. If one wishes to cook them, they can be sautéed, blanched or lightly tossed in a sauce. Zoodles actually taste as good as the usual noodles ,that is if they are served and seasoned well. They are a perfect healthy and vegetarian option, and they have zero fat, are high in water and fibre, antioxidant and also anti inflammatory. 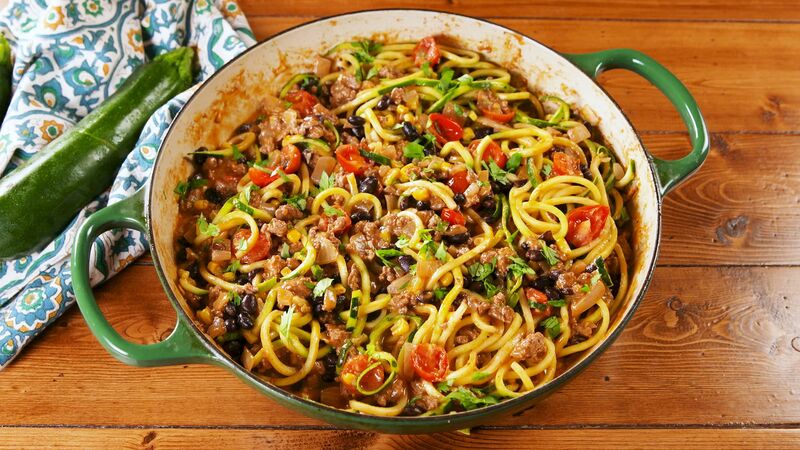 Coodles, zoodles or poodles, choose from the oodles of noodles! Zoodles are popular, but many other vegetables are also being used. Apart from zucchini noodles, there are also Poodles (parsnip), Swoodles (sweet potato), Toodles (turnip), Coodles (carrot) and Boodles (broccoli stem). These different nutritious alternatives are gradually gaining popularity. Which one would you choose?